March | 2017 | Welcome to Wreck Beach! It is not still worm enough… however, season is around the corner! There is an important NOTICE! 2017 Bare Buns Run date has been changed! Thank you all for participating in our Wreck Beach Swim Night yesterday. For long time, we had struggle to get enough participants to keep the swim going… however, we are now making money to keep the swim going! Thank you again for all your support and see you next time on April 15(Sat.) at 7:30PM! 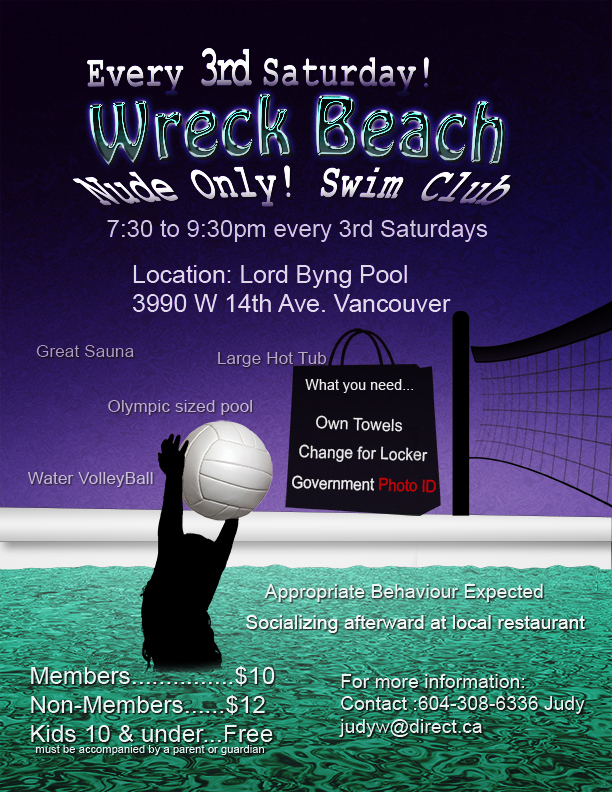 Wreck Beach Swim Night… This Saturday!